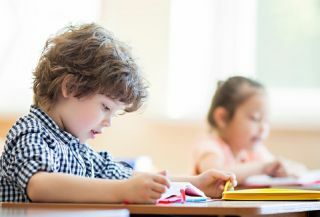 Ensuring the promise of connected learning and the opportunities of instant information in the classroom doesn’t begin with a swipe of a tablet—it begins in the server room. As technology becomes indispensable in the classroom, having the proper infrastructure in place to harness wireless and mobile devices has never been more important. This has created a need for educators to address the health of the systems that support education technology across their campuses. According to a study by the Federal Communications Commission, more than half of teachers surveyed reported that slow or unreliable internet access prevents effective use of technology in their classrooms. In order for students to access digital learning tools, the FCC recommended schools extend high-speed internet access to every classroom and instructional space. But before educators can fully address digital learning tools like broadband internet access and the tablets, Chromebooks and cloud services that connect their classrooms to the world, they must first upgrade their technical infrastructure, beginning with the heart of the system. Critical server-room components such as an uninterruptible power supply, or UPS—which provides emergency power to keep critical systems running during a power failure and protects against damaging electrical surges—along with power distribution, data center and routers are key to keeping technology humming in the classroom. APC by Schneider Electric is helping schools advance digital learning by getting a handle on their technology infrastructure. Now, the company is giving away a $10,000 server-room makeover opportunity to one lucky school. Does your school’s server room need a makeover? Submit a pic or video for a chance to win a grand prize containing IT equipment of your school’s choosing, from power protection, servers and routers to Chromebooks, tablets, touch-screen monitors and more. The contest ends at midnight on June 30, 2017. Want to keep saving money on your server room? Consider these helpful tips and get the most for your school district’s money. Instead of running separate servers for each application, take advantage of your servers’ full potential by tapping unused portions for consolidation. Your uninterrupted power supply should be replaced about every ten years to maintain system reliability and efficiency. Is it time to upgrade to a new model? Your server room components require cool air circulation that prevents overheating. Extend the life of your UPS, routers and more by minding air flow.